Today's top Apple headline in Google News is a piece by Sandy Cannold, an "executive producer and senior business editor" for ABC News, who states that Apple's record breaking launch weekend "could actually be cause for concern." Cannold wrote, "it seems like Apple is now trying to squeeze every last bit of profit it can out of an aging, shall we call it, iStone." This, because the iPhone is not an entirely new product category, but merely "an upgrade, a refresh, dare I say a sequel." Particularly upsetting, Cannold writes, is the fact that seven years into the iPhone still being a phone, there are still long lines of people who "wait in line, sleep outside the store and ham it up for the cameras once they got their hands on their shiny new device." Cannold worries, "hasnt Apple seen how the competition makes fun of these events in commercials?" Samsung has in fact run ads mocking Apple's blockbuster iPhone launches for at least three years in a row. Yet this year, the Korean conglomerate had film crews interviewing those waiting in line, collecting notes on what keeps customers that excited about Apple's products as part of a research project into copying the part Samsung still doesn't know how to clone: Apple's profitable allure. "This is no longer the Apple of Steve Jobs," Cannold wrote. "The Apple that seemingly every couple of years rocked the consumer electronics world with a product so innovative that it changed industries forever." Since Jobs' return in 1996, Apple launched industry changing new products in the 1998 iMac, 2001 iPod, 2007 iPhone and 2010 iPad. Everything else has been a "sequel" of sorts. That works out to one big new thing about every four years. Of course, not every world changing thing Apple has introduced has been hardware. From iTunes to the App Store and from FaceTime to iMessages and iCloud, Apple has also been busy pushing out innovative software and integrated features and services, including several new releases just this year: iWork for iCloud, Touch ID and iTunes Radio all just landed in the last quarter alone. And then there's the world's most popular mobile app development and device operating system: iOS 7. That just came out too, certainly a "game changer" of the sort Cannold pines for Apple's chief executive Tim Cook to deliver. Perhaps Cannold isn't aware of iOS 7 because he still uses a Blackberry. The day that Apple's new iPhones went on sale, Cannold tweeted, "I will be so sad if blackberry doesn't survive.. I can't type on a device without a keyboard.. Fat fingers & digital keyboard don't mix.."
I will be so sad if blackberry doesn't survive.. I can't type on a device without a keyboard.. Fat fingers & digital keyboard don't mix..
Blackberry delivered one "industry changing new product" since its founding in 1984. Not to be outdone, Rolfe Winkler, writing for the Wall Street Journal, outlined logic explaining that investors shouldn't be fooled into thinking that Apple's record weekend has anything to do with growth or perhaps even sales. While noting that Apple's 9 million unit launch "is far higher than previous launches. The last three opening weekendsfor the iPhone 5, iPhone 4S and iPhone 4were 'over five million,' 'over four million,' and 1.7 million, respectively," Winkler points out that Apple has two new models this year. This is important to note because in previous years, there wasn't mass interest in the last year's model at the launch of the new one. 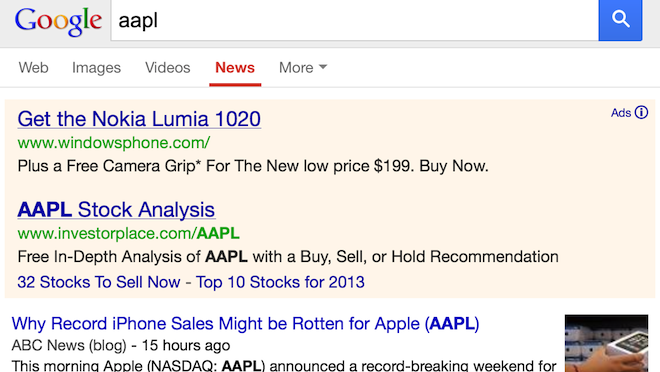 Perhaps Apple is cheating by expanding its offerings? Winkler and Cannold should collaborate. Too many new products selling, not enough new products! Not enough selling! Winkler also exposes that Apple is launching this year's new models on more carriers in more countries, including "Japan's largest wireless carrier by subscribers, NTT DoCoMo," and China, which last year had its own launch record of two million iPhones three months later last December. "Including China sales could account for at least half of the increase in this year's opening weekend," Winkler warned those investors who hadn't heard about this carrier expansion. "Back those out, and the debut would have been closer to six million units" he astutely calculates. 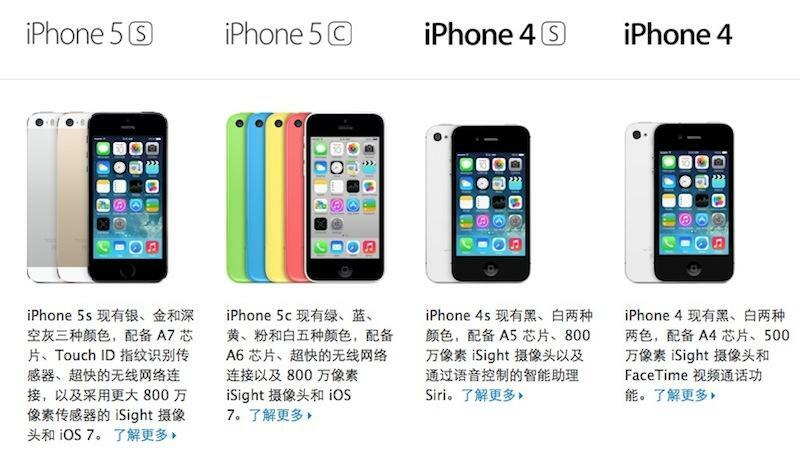 "Apple will have to do more to boost sales than put its device in front of new potential customers," Winkler advises, while also retreating to the notion that iPhone 5c is too expensive while ignoring that Apple now sells two additional models that are even cheaper in China, as well as a variety of other markets with price sensitive buyers. Citing massive global demand for iOS 7, Winker further warns, "Apple can depend on committed users who won't be quick to leave it. It is just that their numbers may not grow as quickly as investors have come to expect, or the opening-weekend figures suggest." Winkler is on Twitter too, explaining that "Morgan Stanley and Jefferies est. that 2m-2.5m of the 9m opening weekend sales figure was "sell-in" to retailers. 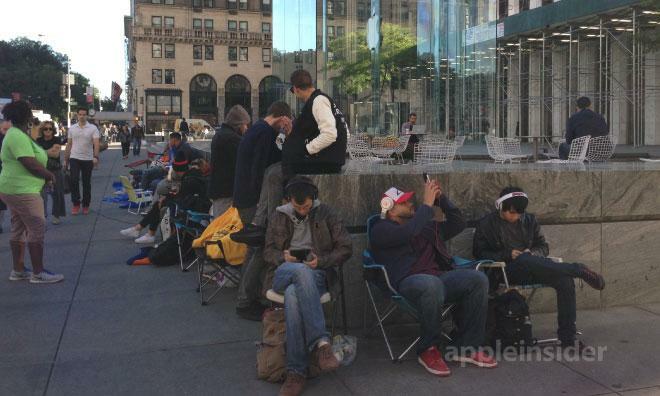 Previously opening weekend iPhone inventory was totally sold-out to customers says Jefferies. Including 'sell-in' may overstate demand." He's pointing out that analysts are guessing that Apple's reported "sales" might actually be retail inventory instead. But Apple's global channel is much larger than two million units. Apple reports that it aims to maintain 4 to 5 weeks of inventory. Given that the company sold 31 million iPhones in the July quarter, a full nine months after having introduced its last new iPhone, that indicates that even in the middle of the year, Apple's sales channel is holding inventory levels of at least ten million devices. If Apple wanted to fudge numbers Samsung-style, it could report "shipments" of ten million iPhones without selling a single device. Apple's iPhone channel is really that large. Samsung's channel is even larger, but Samsung doesn't just sell high end, iPhone-class smartphones like its Galaxy S4. Most of its "shipments" are loss leader, low end devices that don't make any money and run outdated versions of Android that can't be upgraded. 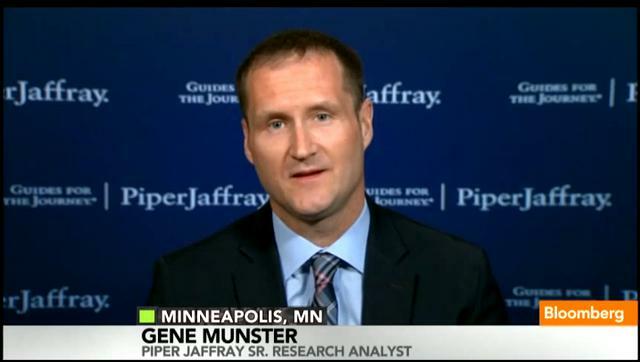 Last year, Piper Jaffray's Gene Munster appeared to expect similar hot air numbers from Apple for its iPhone 5 launch (he incorrectly pegged 10 million weekend shipments), helping to destroy the company's valuation after it out-sold Samsung but didn't out-announce it in shipments in order to meet analysts' guesswork. This year, Munster predicted 5 to 6 million in global weekend launch sales, nearly half of what Apple actually sold. Rather than admitting he was gravely in error, Munster turned around and reported that Apple must not have actually sold as many as it said, but merely shipped them as "sell in." However, this weekend, Apple reported "sales," not Samsung-style shipments, and noted that "demand for iPhone 5s has exceeded the initial supply, and many online orders are scheduled to be shipped in the coming weeks." "Sell in," shorthand for shipping products that haven't yet sold, is only important when supplies are exceeding demand. If you sell out of your available stock, there is no distinction between your "sell in" and "sell through." False reporting and consistently terrible market analysis has singlehandedly destroyed Apple's valuation over the last year, despite the company's record sales and industry leading profitability and the past year of sustained sales growth even as its primary competitor scales back shipments and sales estimates of both its flagship smartphones and tablets.